There is a famous dispute regarding the interpretation of these prophesies. Some explain them literally, to mean that predatory animals will actually change their nature and become herbivorous (Metzudos and Malbim to Isaiah 11:7; Abarbanel to Hosea 2:18). Rambam and others, however, interpret them metaphorically. Instead of referring to actual animals, these verses refer to wicked people and nations that are symbolized by these animals. Such people will no longer pose a threat, and will live in peace with us. Rambam then proceeds to discuss the zootopian prophesies. He repeats his preference that they be interpreted allegorically, and says that he has proved the concept of allegory in Scripture so clearly that no arrogant ignoramus could contradict it. He then adds the alternate possibility that it is an exaggeration, and also suggests that it might refer instead to the land increasing in fertility and thereby causing less competition for resources amongst the animal kingdom. Finally, he says that even if it literal, it would be limited to animals on the Temple Mount alone. All this further demonstrates how Rambam was entirely unwilling to posit a complete change in the nature of predators. Rambam strongly tries to avoid positing that God changes the natural order that He created, and therefore he does not want to adopt a literal interpretation of the prophecy of zootopia. After all, that would require a massive divergence from the natural order. It's not just a matter of changing the lion to have a desire for straw rather than wildebeest. You'd also have to change the entire physiology of the lion. A lion is perfectly designed/evolved for eating meat. And it's terribly designed/evolved for eating plants. It doesn't have either the dental apparatus or the digestive equipment for processing cellulose. Then there's the herbivores. They'd have to be modified, too. After all, by nature, herbivores are engineered to have a very high reproductive rate. Normally, it is predators that keep the herbivore population down. Without predators fulfilling that role, the population of herbivores would spiral out of control. 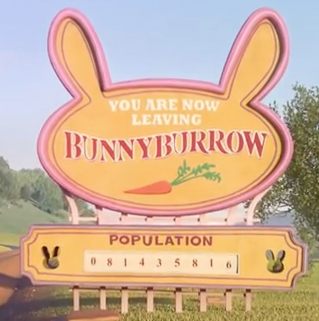 In the Zootopia movie, the rabbits live in a town called Bunnyburrow, population 81,435,816 and rising every second. The growth would in fact be exponential! Since this is not viable for the world, God would have to sterilize herbivores after their second offspring. This would be yet another reason why Rambam and other rationalists prefer to interpret the messianic zootopia non-literally. So far, while Rambam's position regarding the predators of the Messianic Era is certainly controversial, I'm not aware of anyone who actually denies that this is his position. After all, his statement is completely explicit, and it's in the Mishneh Torah, not the Moreh Nevuchim, so it can't be dismissed as a forgery or as a false view only intended for kiruv. I haven't even seen the usual crowd of Rambam revisionists attempt to deny that was his view. Can we presume that here, too, Rambam adopted a non-literal approach? I think that the answer is clearly yes. If he didn't want to interpret this literally at the conclusion of history, presumably he likewise would not have wanted to interpret it literally at the dawn of history. 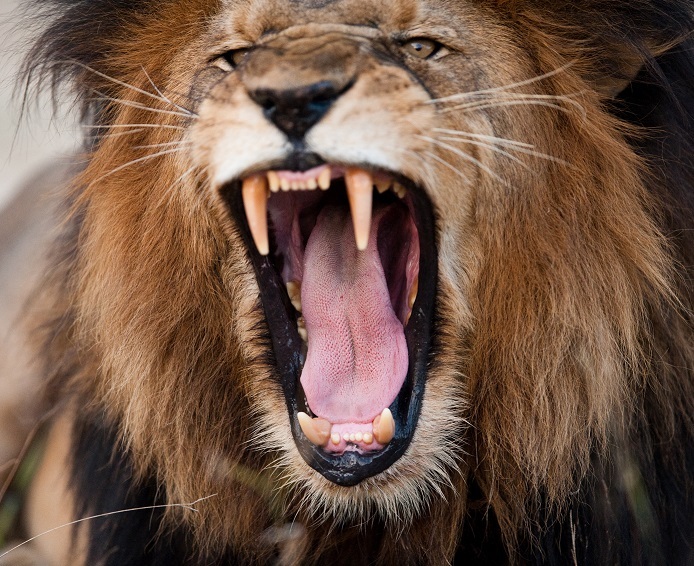 If God created lions with huge canines but weak chewing ability and no rumen, presumably He created them to eat zebras, not grass. And if He created rabbits with the ability to give birth to ten babies every month, presumably that was with the intent that they would actually be able to do so. Accordingly, Rambam would not have interpreted the zootopia of creation literally. 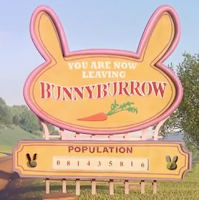 It would thus appear that according to Rambam, not only are the prophecies of the Messianic zootopia not to be taken literally, but likewise the account of the Genesis zootopia. 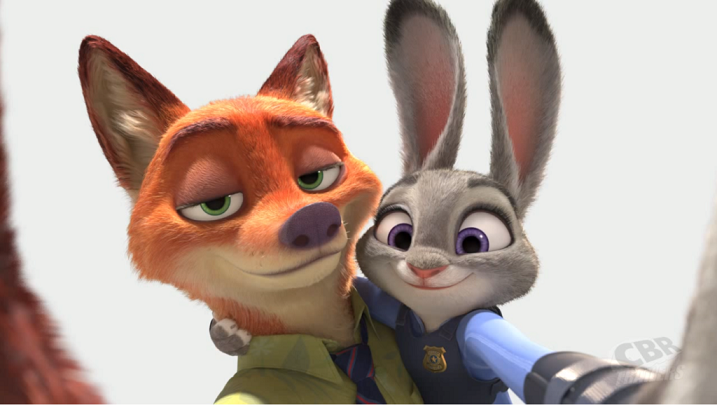 Rabbits reproduce like rabbits, and foxes hunt like foxes. Animals are designed to eat and be eaten. And don't forget that if you'd like to participate in the ultimate experience relating to this, join the Exotic Biblical Dinner at the Biblical Museum of Natural History! It is very nice to quote RMBM verbatim, but at least bring in the Kesef Mishnah. He writes tersely that RMBM bases his position on the Amora Shmuel. There is a machlokes in the Talmud, and Shmuel takes the position that the world will follow its established course even in the times of the Moshiach. The natural phenomena will continue. The only change will be shibad malchas. RMBM paskens like Shmuel. I wonder why you write as if RMBM had a personal preference. It is not how the nosei kelim understand it. For example, this seems misleading: "This in turn reflects Rambam's general rationalist "preference" to see God running the universe through the orderly system of nature..." It's not his personal preference, such as RMBM preferring jogging over running. Its based on his methodology of psak. And in this case he follows Shmuel's opinion, as commented by the Kesef Mishna (a.k.a the Michaber; R' Yosef Karo). You seem to be implying that the Rambam developed his views because he decided that Shmuel's opinion is correct. While it is not possible to read the Rambam's mind, it is much more logical to assume that the Rambam decided like Shmuel in this instance because of his rationalist views. After all, the Rambam writes quite a bit about the nature of miracles and about allegory in TaNaCH, none of which follows from Shmuel's opinion of the Messianic Age. It's also widely believed that the Rambam's position is that the rules of Psak do not apply outside of Halachah. Well,is the Kesef Mishnah likewise guilty of implying that Rambam's views are based on shmuel's position? No, he is informing you that a basis of Rambam's views is in Talmud, so that you know what he's quoting. He's not telling you that Rambam used Kellalei Pesaq to decide in favor of Shemuel and then had to modify his entire world view to match. Very intersesting. Can you please bring the sources that explain that the rmbm held that the story of adam etc. was an allegory? I don't see how this implies that their exclusive food is vegetation. Green plants and only green plants. It is best to exercise caution in translating the verse. For instance, instead of “every green plant for food,” R’ Kaplan’s translation has “all plant vegetation shall be for food.” Obviously too the verse speaks in wide generalities. 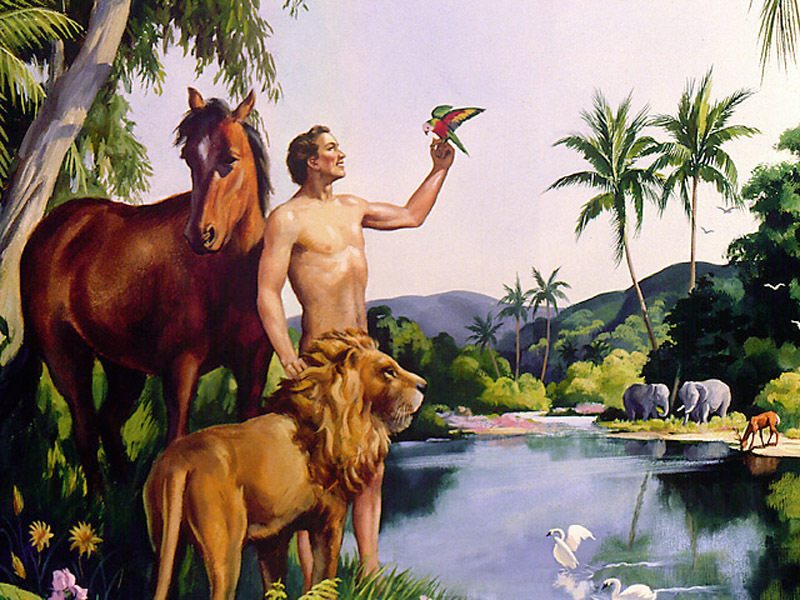 In answer to the question, the verse may be referring specifically to the select tame animals placed together with Adam in Gan Eden, where there was complete peace and tranquility. In the rest of the world outside the Gan the natural order prevailed and animals were carnivorous right from the start. The level of Gan Eden corresponds to that of Har Kodshi, “My holy mountain,” as in the verse discussed in the post, “...They shall not cause harm or destruction in all My holy mountain, says God" (Isaiah 65:25). Although many authorities understand Genesis 1:30 as describing the original and ideal human diet as vegetarian, Shadal for one disagrees, arguing in particular that "this is most unlikely, since man by his nature, his physical structure, and the design of his teeth is equipped to eat both vegetation and meat alike. If the Creator had not wanted man to eat meat, He would not have fashioned his body to be equipped for it." He goes on to contend that originally, "the Holy One, blessed is He, did not want to tell man explicitly that he was free to kill living things, so as not to accustom his hands to shed blood, and so He told him only that he would 'rule' over all animals. The dispensation to kill for food is thus to be inferred from the context. After the Flood, however, when the land had become full of injustice, when every mortal thing had become depraved and the shedding of blood had increased, God then specified to Noah and his children that they were free to kill animals for food but not to kill one another, except to kill murderers." "I'm not aware of anyone who actually denies that this is his position. After all, his statement is completely explicit, and it's in the Mishneh Torah, not the Moreh Nevuchim, so it can't be dismissed as a forgery or as a false view only intended for kiruv." It is quite curious that Rabbi Slifkin quotes from one part of the Rambam's treatise concerning the Resurrection from the Dead when it supports his interpretation, but omits the later section which refutes it. ואפשר שיאמר גם כן, כי כשירבה היישוב ותשמן הארץ, ימעט נזק בעלי חיים בהתקרב קצתם אל קצתם. כבר זכר זה אריסטו בספר בעלי חיים, כשנתן טעם סיבת מיעוט היזק בעלי חיים קצתם לקצתם בארץ מצרים. ויהיה ג"כ גוזמא, כמו שאמרו חכמים זיכרונם לברכה, דיברה תורה לשון הבאי. ואם הוא על פשוטו, יהיה מופת שיראה בהר הבית לבד, כמו שאמר "בכל הר קדשי", ויהיה כיוצא בדבריהם "לא הזיקו נחש ועקרב בירושלם". סוף דבר כל אלה הם דברים שאינם פינות התורה ואין להקפיד איך יאמינו בהם, וצריך שימתין האדם לגוף האמונה באלו הדברים עד אשר יראו במהרה בימינו, ואז יתבאר אם הם משל או מופת. So we see that the Rambam was fairly non-committal about what he wrote in Mishna Torah. He is completely willing to understand the prophecy literally, and accept a change in the nature of these predators within a particular location. In addition, the Rambam elsewhere distinguishes the Five Books of Moses from other prophetic writings. Only in other prophetics works is allegorical interpretation deemed acceptable by the Rambam. See "Torah, Chazal, and Science" for the sources. Regarding the verses in Bereishis, "not ke'phuto" does NOT equal total allegory. In context, the Rambam actually means there are expanded definitions of certain terms in Loshon Hakodesh. And those expanded definitions follow the methodology of Torah Sheba'al peh. Finally, Rav Soloveitchik in EEM -- which Rabbi Slifkin claims as supporting his approach--is quite explicit in his understanding that the antediluvian reality was much different than the one we have today. And it will revert back to that idyllic zootopian existence in the age of Moshiach. This happens to be a vital component of the central theme of the entire manuscript where harmony and balance that once existed in nature at the time of creation will ultimately be restored. "since man by his nature, his physical structure, and the design of his teeth is equipped to eat both vegetation and meat alike"
Ah, thanks for reminding me of that source! There's a great discussion of it in R. Dov Friedberg's paper on the resurrection. It shows how reluctant Rambam was to interpret this prophecy literally, even when he admits that he has no mesorah for it. He prefers to read it as an exaggeration, but is willing to consider that it might be literal, provided that is severely restricted, just to the Temple Mount. This further shows how he was entirely unwilling to posit a complete change in the nature of predators. As for the Moreh and the verses in Bereishis, I'll take the interpretation given by classical commentators such as Shem Tov and Akeidas Yitzchak, and contemporary non-biased scholars, over that of R. Meiselman. Since you're here, perhaps you can explain why R. Meiselman dismisses this view and makes no mention of them? Surely proper protocol would dictate that he would note that he is disagreeing with great scholars, and even mention their names, instead of implying that nobody of stature disagrees with him? That's not a retreat from his principle in M"T. That is part of his general notion that suspensions of the laws of nature (aka miracles) are necessarily of limited time or place. It is also not a retreat from his preferred position. The Rambam often goes on about what he believes the correct position to be, but then says that one can disagree with him as long as he doesn't go beyond certain principles. E.g., he devotes a lot of time in the Moreh on the notion that the world can continue to exist eternally, but then at the end says that one is free to disagree as long as he doesn't think that the fact that the world had a beginning logically implies that it must come to an end. Same thing some of his anti-anthropomorphic word explanations in part 1. He offers his explanation, but accepts others if they don't imply wrong notions about God. "If, however, those who follow the literal sense of the Scriptural texts reject our view, and assume that the ultimate certain destruction of the Universe is part of their faith, they are at liberty to do so. But we must tell them that the belief in the destruction is not necessarily implied in the belief in the Creation; they believe it because they trust the writer, who used a figurative expression, which they take literally. Their faith, however, does not suffer by it." doesn't exactly sound like the Rambam was "entirely unwilling to posit a complete change in the nature of predators." As for Rav Meiselman not referencing the esoteric scholarship on the Moreh, I think Rabbi Stefansky has made a pretty salient point below. What I find very problematic with this school is that once you toss the Rambam's explicit words by the wayside and inject all kinds of hidden meanings into them, we cease to deal with a text that is useful for providing reliable insights. Furthermore, as Professor Kaplan wrote in his review of Rav Soloveitchik's lectures on Moreh Nevuchim, the Rav approached the Rambam as a traditionalist--even in the realm of philosophy. Rav Soloveitchik completely ignored and dismissed the scholarly consensus about the Rambam in key areas. And see also Prof. Kaplan's long editor's introduction to the published lectures. So I think this traditional approach to the Moreh Nevuchim is something one should expect from a close talmid of the Rav. ואין להקפיד איך יאמינו בהם is an expression of tolerance for other views. It does not contradict the entire thrust of Rambam's approach in this topic. Rambam's non-literal understanding of various aspects of Maase Bereishis is not a Straussian hidden esoteric meaning. It's more or less explicit - you can even find it in the English translation by Friedlander. There's nothing wrong with someone taking a different view. But R. Meiselman's book is not a book that mere expresses his own view on these topics - it is a discussion of the views of Rishonim and Acharonim. As such, he should mention them. Even worse, R. Meiselman SPECIFICALLY discusses (and rejects) this approach to Rambam, on p. 507. And yet he does not mention the names of the prestigious scholars whose approach he is rejecting! The reader who does not know the history of this approach will assume that he is once again referring to me! It also fits into his admonition in M"T not to bother with the details of the coming of Moshiach. He gives an interpretation of those pesukim because of the central importance of his understanding of miracles as being constrained changes to the general rules of nature that operate with regularity otherwise. Maimonides' view of the original sin is thus allegorical. As he states in Guide 2;30 regarding the dicta of the Sages about Adam and Eve in the Garden of Eden: "Their allegorical interpretation was clear to those to whom it was addressed, and they [the dicta] are unambiguous." Referring to some of these dicta, which he describes as "amazing," Maimonides further states that "their external meaning is exceptionally incongruous, but ...when you obtain... true understanding, you will admire the wisdom of these parables." A general statement made by the rmbm that not all of the story of creation is meant to be literal doesnt give you the right to say that the rmbm held that the whole story of adam and chava and the eitz hadas is all allegory. If he says so explicitly then ill except it but you need to bring a source for it which the author does not do. Sure I do. As I wrote, you need to see the full discussion in my book, or (better) in Sara Klein-Braslavy's book. No. I guess you belong to the "It's better to die" school. I didn't watch the film, although I gather nobody dies in it because of non-discrimination. I just wanted to know if you oppose any kind of liberalism and tolerance, even in theory, or do you believe if anybody shows any form of tolerance to any kind of Arab it means he doesn't mind dying. Like you said, you didn't want the film. If you watched it, I think it would be obvious what I mean. In short, there are times when one has to make a decision on how to deal with a specific population from which a threat emanates. If it is impossible to isolate the threat or determine in advance who will turn out to be a threat (as is the case in the film), does one take steps to protect oneself by treating the population as a collective (think extra screening for Arab-looking people flying El Al) or does one categorically, on principle, not treat this group any differently than any other group because of some sort of "higher" ideal? In the film, the message is that it is immoral to discriminate against a group (in any fashion whatsoever) and that it is effectively better to die than to consider such a step. (Yes, in the film, real lives are at danger because of non-discrimination.) This message is an immoral one, in my opinion. 1. I was always partial to the "all animals were/will be herbivores" idea because it solved the problem of why God would create to operate in such a cruel and vicious manner (i.e., it's not the ideal state of nature). 2. If you believe in evolution and an ancient universe, you pretty much have to say that Adam was not literally the first man created. "As for the Moreh and the verses in Bereishis, I'll take the interpretation given by classical commentators such as Shem Tov and Akeidas Yitzchak, and contemporary non-biased scholars, over that of R. Meiselman." R. Slifkin - Interesting that you have deigned to make argumentum ab auctoritate, and rejected the simple reading of Rambam, where he maintains that many elements of the creation account were to be taken literally as understood Abarbanel et al, in favor of a more esoteric reading. You also failed to mention MN 3:50 where he largely treats the account as literal, and 2:30 where he explains that one should not question the unnatural events of the Garden of Eden, since the laws of nature were not yet fixed. (I could also cite MT, but the obvious response would be he was writing for a non-philosophical audience). Now, there is definitely an argument to made that Rambam's true belief was that it was all an allegory, and I am inclined to agree - Strauss went even farther than that - but only presenting one opinion on Rambam as fact, and omitting inconvenient passages seems biased and is unbecoming. This is not the forum to get into a detailed discussion of the Moreh, certainly not with someone like Dovid Kornreich. But let me just note that immediately after stating that the laws of nature were not yet fixed, Rambam indicates that various statements of Chazal demonstrate that the episode is not to be take literally. And I disagree with your view of Abarbanel, as discussed elsewhere on this blog. The bottom line is that the only ones who claim that Rambam did *not* interpret creation allegorically are those who are personally ideologically opposed to explaining it that way. ראו דבריו של הרב יוסף קאפח בפירושי להלכות שבת, פ"ה, הלכה ג: "ורבינו הביא רק הטעם המציאותי...והתעלם מכל לשון המדרש, בהתאם לשיטתו שכל אותו התיאור של אדם וחוה והנחש בבראשית ב', הוא מונחים אליגוריים וכמו שכתב במו"מ חלק ב', פרק ל, ולא חוה האשה הטבעית היא שגרמה מיתה לאדם, עיין שם." "Sure I do. As I wrote, you need to see the full discussion in my book, or (better) in Sara Klein-Braslavy's book." That would lead me to a different and perhaps bigger challenge then the challenge of creation; the challenge of finding your book in the local seforim stores. We can also point out that humans are obviously built to be omnivores. Vegetarianism and its kin may be nice, but they're not really practical. They're also not practical for all those animals that have basically been bred for thousands of years as human food. Omnivore means you can eat plant and animal, not that you must. Assuming that you'll eat egg and cheese, you can certainly live on pareve and dairy meals (without fish). Not advocating it, but it hardly seems impractical. It all depends on what is available to you. You're right that the chicken population would go down. But the fish population would go up. If you need an existence proof, I offer up pizza and the peanut butter and jelly sandwich :). And your teeth are of different shapes because...? I can't comment on the Rambam's position on allegorizing the Creation narrative, the Garden of Eden story, or generally, Gen. 1-11. I would only state my own position that it is religiously hazardous and not required to treat these narratives as allegory. If allegorical, then that opens the way to consider the narratives of the Avot as allegorical - or even the later narratives. Indeed, some who maintain themselves as Orthodox do treat these narratives in that fashion. It is also not required, in my view. I don't maintain that the narratives in Gen. 1-11 are true in the literal evident sense. There is ample evidence from established scientific data that the world is truly ancient, being a million times older than the conventional Jewish dating. There is evidence that mankind existed thousands of years prior to the biblical Adam. There is also no evidence for a global flood that covered all the mountains - besides the obvious question of where all that water originated and where it went after the land dried out. Words such as a Creation 'day' and phrases such as 'and they (the waters of the mabul) covered all the tall mountains under the entire sky' must be reinterpreted. The current critique of the Creation narrative about what the animals were intended to eat is also based on a literal reading of the text. Here, in my view, the torah presents an idealized version of reality, as it was once in Eden and what it may ultimately become - not the current and historical reality. The carnivorous animals were formed by evolution or design to be meat eaters. The garden of Eden was a special place, however, distinct from the rest of the earth. It was a test ground arranged by divine fiat into which Adam and Eve were placed. The animals there were special creations that didn't behave like their outside counterparts. In the future, when technology and humanity advance to the point where meat can be produced from the cells of non-living creatures, then none within man's purvey will need to kill in order to survive, i.e., and Edenlike existence. The problem with taking the flood to refer to a localised affair (which I assume is your intention) is that it very clearly goes against the whole thrust of the narrative. It is continuously made clear in the torah that what is being referred to is a global flood. Thus a reinterpretation is really no better than allegory in this case. ויכסו כל ההרים הגבוהים אשר תחת כל השמים. See also posuk 23. And all the perokim afterwards make clear that all humanity spread out from noach. Very odd if he was only the survivor of a local flood. I can't comment on the Rambam's position on allegorizing the Creation narrative, the Garden of Eden story, or generally, Gen. 1-11. I would only state my own position that it is religiously hazardous and not required to treat these narratives as allegory. Words such as a Creation 'day' and phrases such as 'and they (the waters of the mabul) covered all the tall mountains under the entire sky' must be reinterpreted. I have another suggestion which is what I think that the Rav used. He simply didn't bother to try to reconcile. He simply learned science from scientists, halacha from halachic sources, and philosophy of religion from Jewish sources and from philosophers. The Rishonim made the mistake of trying to do reinterpret Genesis in line with their notion of the four elements ended up interpreting darkness to mean "fire". To what end is this form of reinterpretation? You don't get any new science out of it and you don't get any new Torah out of it. Yavoy, I didn't expound my thesis more fully in my previous comment for the sake of brevity. Your question and arguments, however, justify some expansion on my part. You interpret 'Adam' in the early narrative as being generic for man. I don't. The torah is referring specifically, in my view, to the person 'Adam' and his descendants. The homo sapien species existed long before the biblical Adam and was already spread throughout the world before his special creation. The torah, however, focuses on the family of Adam and their history. Their great moral deterioration lead to the decision to destroy them through a great flood - except for Noah and his family. The Adamites lived in the Mesopotamian plain and the flood covered that area to the tops of the local adjoining mountains - not the traditional Ararat in distant Turkey/Armenia - much less, the Himalayas in still more distant edge of the Indian subcontinent. This great flood drowned all the remaining Adamites and the local fauna. The rest of the world was unaffected, however. Noah only needed to take in breeding pairs of the local fauna in order to help repopulate the area once the flood subsided. Indeed, the dimensions of the ark (300x50x30 amot with a tapering roof) could not have accomodated pairs of all of earth's creatures, nor could those from very distant lands have come to the ark. After the flood and leaving the ark, Noah's family intermingled with other people who had survived because they had lived in unflooded areas. So the family grew and spread out over the middle east(if Noah's family were the only surviving humans, then there could be serious genetic problems due to the inbreeding (the problem could be even greater for the descendants of the breeding pairs of animals). The same intermingling with other people was true of Adam's family). The torah's language is deliberately fashioned as to suggest that Adam and Noah and families were uniquely human in order to inculcate the idea that all of mankind is kin and should be treated brotherly. The language can also be exaggerated. The verse that we cited about waters covering all the tall mountains under the entire heaven has its counterpart in Deut 2:25, "Today I will begin to place your terror and fear over the peoples under the entire heaven..". This address to Moshe immediately prior to the war with Sichon, the Amorite king in Transjordan, can't refer to the entire earth. As it continues, " who will hear the news (of your victories)..". The expansive language is here moderated by the continuing phrase, which is not the case in Gen 7:19 cited above. However, the Deut. example is sufficient to illustrate that "under the entire heaven" doesn't require an expansive interpretation. It just means all that the eye can see from their limited vantage point. בכל השטח הלזה באפן יסודי. A) pure speculation. As is the creation narrative you discuss below. B) it's a story that parallels the the story the torah is saying, but it's not the story the torah is trying to tell. The Torah is telling a story of the utter destruction of the world. You've turned it into a local flood story. So whilst by allegorising the story you at least preserve the original message and understanding of the story, however admit it didn't occur, by reinterpreting the story you end up completely changing the understanding and message of the Torah. I personally consider allegorisation more respectful to the Torah then reinterpretation. It means you listen to what it's saying. You don't put words in its mouth. David, thanks for the citation from Rav Yitzchak Herzog, the late chief Ashkenazi Rabbi of the Israeli rabbinate (chavol de'ovdin velo mishtakhin). He was both an important torah scholar and a secular one, having obtained a Ph.D. in the Sorbonne, I believe. He appears to agree with my contention about the hazard of interpreting some biblical narratives as allegories. More cogent to my arguments, however, are the lectures by the late Rav Gedaliah Nadel, the rav of Shikun Hazon Ish in Bnei Brak who was so appointed by the Hazon Ish. The Wikipedia article on him gives both a brief biography and links to the notes collected by Rabbi Shilat and to R' Natan's English translation of some parts dealing with Creation and the flood. Rav Nadel's views are basically consistent with mine. His main theses are that the torah isn't a history or science treatise. The language may be poetic, but the stories are true. However, the evident translation is not necessarily the correct understanding - particularly when it comes to the early narratives in Genesis. The secrets of creation are hidden in the words which lend themselves to explication only by those scholars who have the appropriate knowledge. Even they can only hazard guesses - truth is a non-ending pursuit for man. Amongst others, he states that the creation days mean periods of indefinite length and that the mabul was a regional phenomenon that did not affect the rest of the world. He also ascribes to evolutionary theory and the emergence and dispersion of mankind long before Adam was created. Yavoy, I would not change the evident meaning of the torah narratives in Gen. 1-11 were it not for scientific evidence against a literal type reading. The torah's narrative here was intended to be understood in earlier ages literally. Six literal days of creation with cessation on the 7th day; a world destroyed by flooding with only the residents of the ark saved. That makes the commanded Shabbat rest easily understood and makes humanity related, with all people being descended from Noah's family. However, facts raise their 'ugly' head and complicate this idyllic picture. The earth, it turns out, is over 4.5 billion years old. A global flood should have left tell-tale flood deposits over the world - aside from the water problem. My efforts are aimed at harmonizing the torah's narrative with established scientific facts in the quest for truth. That effort doesn't undo the torah's message; it modifies it - as I explicated earlier in replies to you and David. Nor am I a lone voice in this approach. The late Rav Gedaliah Nadel of Bnei Brak, a very respected talmid chacham who was the rav for his shechunah which included the Kanievsky's - father and son, had taken the same approach with respect to creation days, a Mesopotamian flood, and widespread humans prior to the Adam of the creation story - as set out in the response to David Ohsie. Finally, I take some exception to the implication that I'm merely playing with the torah. Au contraire, I take the torah and its perceived messages very seriously - as opposed to the general attitude in yeshivot where torah in neglected in favor of Talmud. Those messages, however, would lose impact if they were perceived as either inconsistent with facts or monotheistic allegory. Yes, Rav Herzog warns of the dangers, but says that more investigation is needed to determine the right principles here. So he is ambivalent, I would say. David, the difference between treating the mabul as allegory and reinterpreting certain phrases should be clear. In the first case, the mabul need not have happened at all, it's just a teaching device. In the latter, the mabul is treated as historical fact. Only the scale is changed and the perspective. Instead of dealing with humanity as a whole, it treats only the descendants of Adam and their region, i.e., a regional flood affecting those descendants rather than a global event affecting all mankind. Regarding the creation narrative, I would maintain the essence of the narrative - including the sequence of events but drastically change its time-frame and starting point. In my view the creation account starts with the near destruction of life on earth by the catastrophic asteroidal collision 66 million years ago on an already very ancient earth (verse 2) and recounts the gradual restoration of light reaching earth and life emerging in the subsequent 'days', i.e., eras of indefinite duration. I beg to differ with RYBS. I don't believe in compartmentalization of knowledge. Indeed, advances are made when one area of knowledge informs the other. In any case, you can't both accept established scientific data and the literal understanding of creation days. They are in essential conflict. Either you plead ignorance of facts and the ability to evaluate them, or you are required to modify your understanding of the narrative. From RYBS treatment of Adam I & II as a way of rationalizing the 2 seemingly different narratives about Adam, I gather that he wasn't averse to allegorizing the narrative. I am. The point is to arrive at a 'true' or consistent understanding of the torah and nature - even if such an attempt fails due to erroneous assumptions -as is the case with the 'rationalist' Rishonim's view of the creation process based on Greek ideas. The difference between their assumptions and a modern understanding is that their's were based on speculation, while the modern understanding is based on physical evidence. Such reinterpretations of the text are essentially ad hoc and may not add any new scientific ideas - although the possibility exists once a verse by verse translation/interpretation of the text is ventured. It does bring into focus a central aspect of such reinterpretation of the creation 'days', however. If they are eras, why is the 7th day of such importance? Indeed, in my view, the 7th 'day' of creation is also an era - our era whose earlier portion occurred when the divine was manifest ("GOD completed on the 7th day the work that He did and He ceased on the 7th day from all the work.. that GOD created to do."). GOD ceased manifesting His direct Presence in the 7th era(the biblical era) and left us the task to continue His work "which GOD created (for man) to do. It is now up to us to improve and complete creation, and we must be reminded of this task every week in celebrating Shabbat.